Give your guests a serving of wine that really makes them caw! 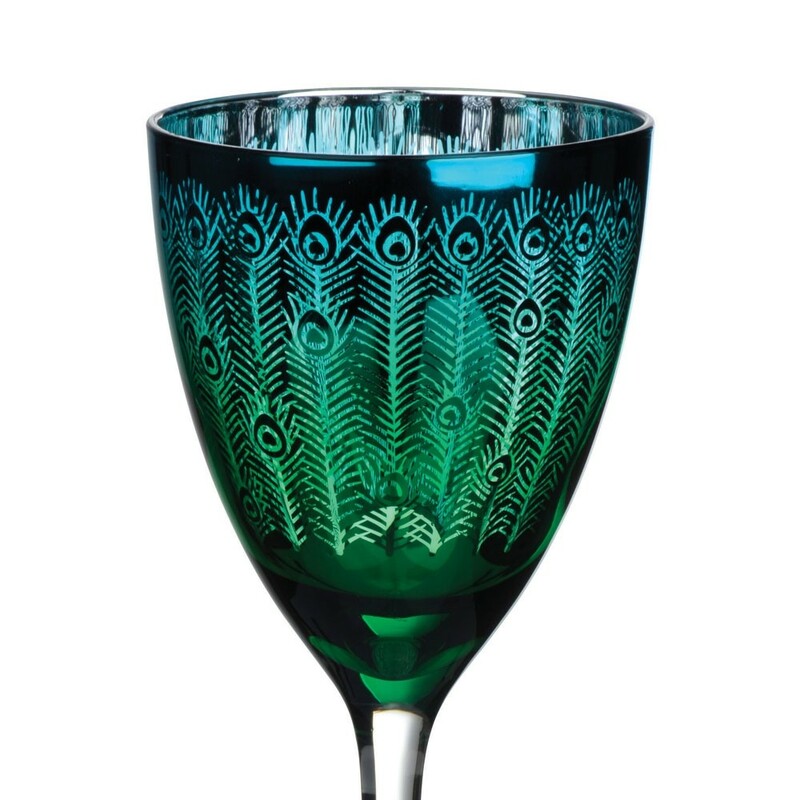 This Peacock wine glass features a design that’s inspired by the majestic bird, giving a much-needed boost to your tasty tipple! The outside of the glass also features an amazing colour changing design that shifts from metallic blue to turquoise depending on your viewing angle! Delightful! The glass features a long and elegant stem, and a beautifully contoured bowl that has curves in all the right places. The glass also features a wide rim, making it a perfect vessel for your favourite swig of Syrah!